Holidays to Bali does not need to be too concerned about anyone. Because Bali is a very safe and comfortable to visit. Bali also has a lot of choice for cheap hotel very comfortable and satisfying. 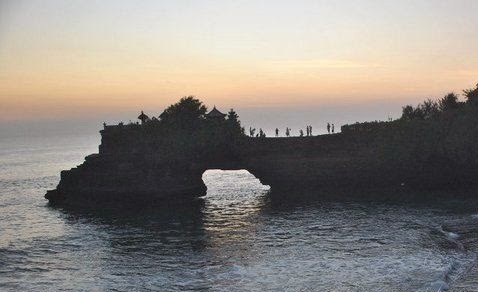 Because Bali is an island with thousands of hotel rooms, so the competition is becoming increasingly fierce, it is advantageous for tourists who want to vacation in Bali, because it will get cheap and comfortable hotel. Vacationing during low season. Better to schedule a vacation instead of during the holiday season. In the low season time is usually the hotel offers room rates more competitive. If you are lucky, chances are you will get a hotel room with the cheapest price. The usual low season in Bali in June to August, and beyond national holidays. Find the promo price through the hotel booking website. As most hotels provide special discounts for booking online through a particular site. Site of one another may have different promos. Check multiple hotel booking sites for cheap hotels in Bali. Choose the appropriate expectations. Check the advantages of the hotel for guests. For example, close to tourist attractions, and so forth. These factors have an influence on spending during the holidays. Including, note the hotel facilities that can make you feel comfortable. It is better to choose hotels that charge includes breakfast. It will also save money at the same time streamline your morning. If you take the children during the holidays, think also about the hotel facilities for children. The existence of a pool or playground can minimize saturation children while in the hotel. But when children are likely adaptable, these facilities may be ignored. Choose the character you like. Usually, the hotel has its own nuances that guests feel at home during their stay. You can find this information through the official website of the hotel or travel sites.